Sitting in the Sacred I AM Presence with Heru my Beloved Main Guide With Akhenaten and the rest of my Spirit Guide Team. I have the following message coming forth. Anchoring the blessings of Love and Peace that we bring forth from the Golden Age of Egypt and many other Pantheons across the Root Races that we remember fondly. The days of old are like the days of today – we face many of a challenge. Through these challenges we learn and we grow in grace and wisdom. It is about the evolvement of the Soul. For the lessons that you learn and learn well are recorded in the books of your lives. The Earth is embarking at this time a great transition. This transition happens when we are coming to a closure of a Life Cycle and starting a new. I have come through my beloved this day to bring forth a message of change, a message of new beginnings, a message to move your forward to the new paradigm of light and understanding. For there is much work still outstanding upon your Earth. We work very closely with the governments at this time to plant those seeds of thought and wisdom. We do what we can to overshadow those whom are in leadership to ensure that there is democracy and peace and understanding. We cannot however override free will. The working of leadership of land and country is never an easy task, this I know from many of my lifetimes past. We make decisions that we think best for the country, and these decisions are never easy. So dear ones you have been called to lead. 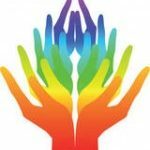 As Lightworkers you have been called to lead and to bring the children home. To anchor the Light of Love Compassion Healing and of Peace. Connect with your Hearts and connect with your Home within the Cosmos and allow this energy of love light and understanding to anchor your very being. Be you in this now – know who you are and what you have been called to the Earth to do. Gaia is rising once more preparing the way for the New Golden Age bringing forth Heaven on Earth. New Energies are being anchored here in this now upon Gaia as we are opening the gates to the omniversal energy to be anchored once more. Activations and Lightcodes are being renewed and restored and upgraded. The Rays of the Sun and the Solar Energy have been intense in recent weeks and there have been significant planetary alignments. The Christed Light has now been amplified. There are shifts now taking place within the grids upon your earth. This will have created some disruptions to the planet. The Trinity of Lords Shield of Light has now been activated The Divine Light coming forth from Lord Michael, Lord Melchizedek, and Lord Metatron is now anchoring down upon every planet and star nation and to the Hearts of you all through your own Divine Blueprint. Many of you that have attained the level of crystalline body and diamond code activation will be fast shifting forward into achieving full Avatarship. In this you will be fully working with humanity consciousness and working multidimensionally actively healing the planet. This is what is needed in this now to fully anchor beautiful God Energy to the hearts of you all. It is a time now to surrender, not to be of fear, for the changes ahead are the ones that are needed for your path of enlightenment. Be on the paths of Divine Enlightenment. For this is the way forth. 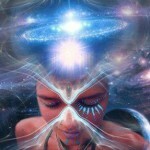 The Halls of Amenti have activated once more… many Lightworkers are being activated to this energy in this now, many connecting with their Akashic Records. In the times of change comes forth challenge, take strength. The Earth has seen many challenges and out of great challenge comes forth a multitude of Love and understanding. A wave of love and compassion, of healing and of peace, and more importantly – union. For the wave coming forth is of Union. The bringing together of all that are working in the Light for the collective in this now shining the Lights collectively radiates forth the Rays of The Sun. 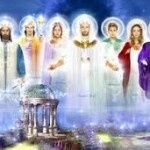 I say now to you all dear ones may the Priesthood of the Order come forth now and do the work of the Divine Plan. For now is the time to come forth and work your love and healing to your Earth like in the days of Lemuria and of Atlantis and of Egypt. Be of pure hearts, of love and of understanding. Be you. I AM Akhenaten and I speak through Elaine this day.